I’ve been very busy recently as I’ve got two gigs coming up. The first one is here in Bristol and it’s going to be great fun. 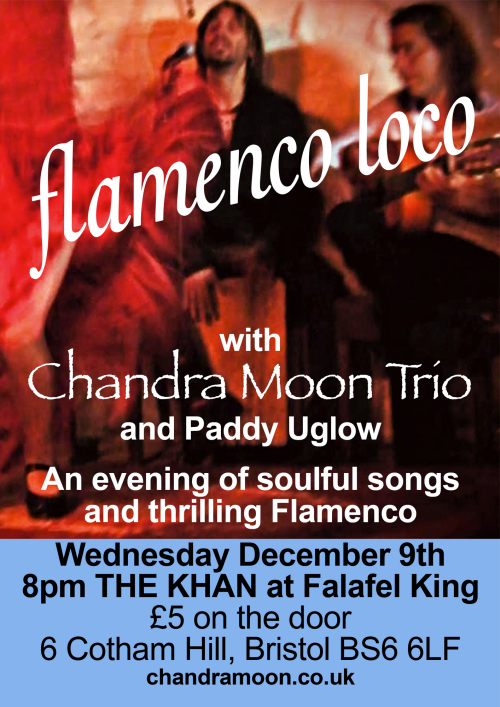 I’ll be playing a few tunes with Paddy and Jimi then we have a fantastic flamenco set from Flamenco Loco. 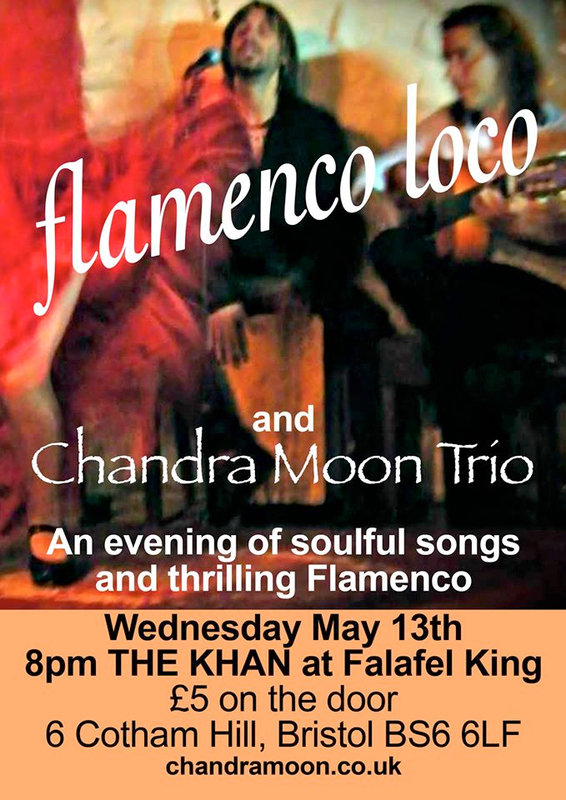 Our upcoming gig at Khan! Then at the end of May we’ve been invited to play at the Bath Fringe Festival. We’re going to do a similar format with a set from me then a flamenco set from Ganesha & Co at the Old Theatre Royal. We’ve also been recording an old song which I’ve never worked on before. Peter and I have been on a great drumming weekend and have a long weekend coming up of sabar playing over the bank holiday weekend.